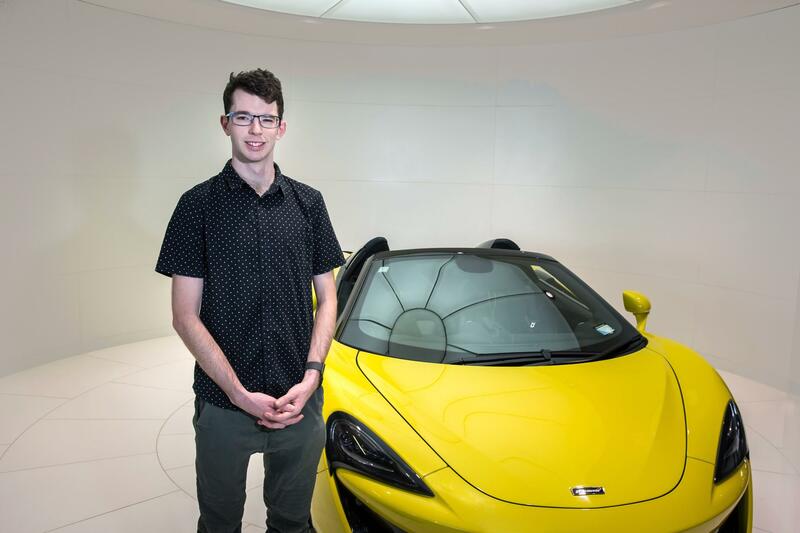 University of Auckland student Thomas Evans is set to travel to the UK as part of an international internship at McLaren, echoing the journey of fellow Kiwi and company founder Bruce McLaren. Currently in the penultimate year of his engineering degree, Thomas will spend nine weeks at the McLaren Technology Centre in Woking, where he will work alongside the company’s research and development engineers as well as gaining an understanding of other key areas of the business. Around 60 years ago, Auckland native Bruce McLaren travelled to England on a similar ‘Driver to Europe’ scholarship to pursue his motorsport ambitions, later going on the found the iconic racing team that still bears his name. At Auckland University, Thomas has been involved with a group of engineering students who design and manufacture a single-seater race car every year. His academic studies have explored automotive design and he is passionate about motorsport. Commenting on the internship, Amanda McLaren, Bruce’s daughter and brand ambassador for McLaren Automotive said: “It’s a great honour to have an international internship named after my father and I’m grateful to both McLaren Automotive and the University of Auckland, where my father studied, for supporting and making this happen to benefit young engineering talent.